HULK SMASH… keychain? I’m not quite sure if that works out. 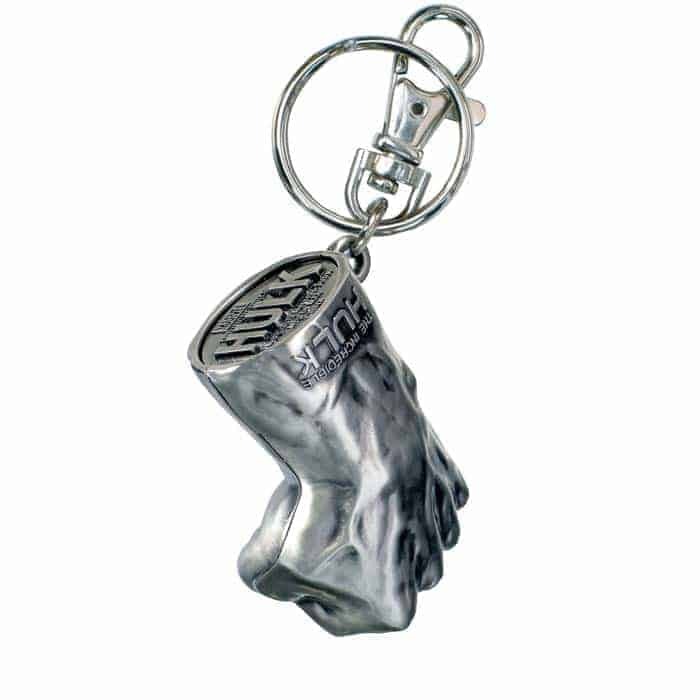 The Incredible Hulk Fist Keychain measures 2.5 inches long and shows off that classic Hulk Fist that we so often associate with…um…SMASH! Yeah! You probably have a pair of those Hulk Gloves that make the sound effect and you really want to take those places with you; unfortunately, due to the overwhelming presence of wackos out there nobody really trusts you. With the Incredible Hulk Metal Fist Keychain, you’ll have a pocket version of one of your most favorite things!